Browse this category to find the evaporator you need. Different models and brands, all reviewed and guaranteed by our technical service. 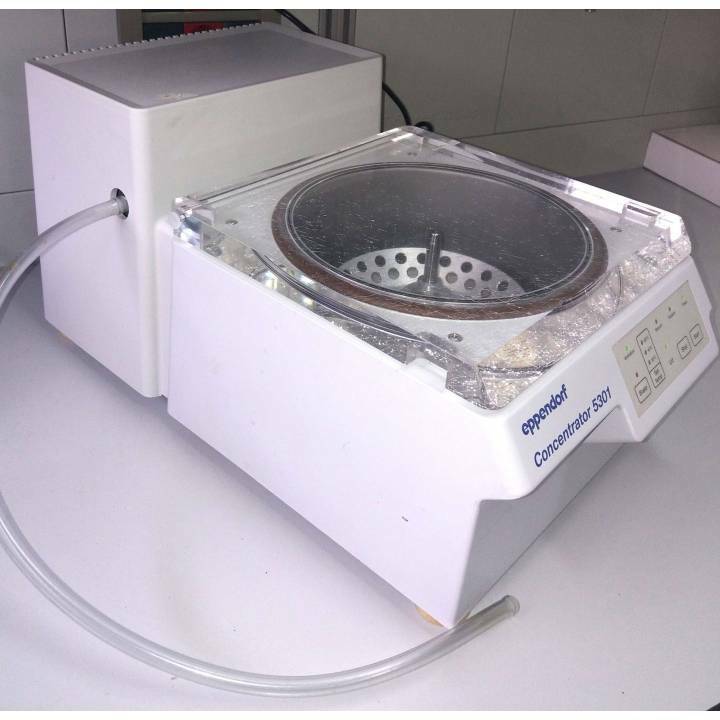 System of evaporation of samples in Eppendorf Concentrator 5301. Vvelocity of 1400 rpm. Temp. work 30, 45 and 60ºC. Integrated vacuum pump. Manual of instructions. 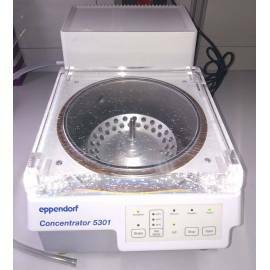 Includes: Rotor F-45-48-11 for 48 tubes of 1,5 to 2 mL and Rotor F-45-8-17, 8 positions for tubes conical of 15 mL (17× 118-123 mm).